The early take on the legendary track was recorded live in Montreux, Switzerland - the site of one of two live sets included on the expanded reissue – alongside one from Brussels, Belgium. Beyond the live material, the 4-disc set includes the original 1970 LP and a rare quad mix of the record folded down to stereo. "Paranoid: Super Deluxe Edition" includes a hardbound book with new interviews with all band members, photos, a poster and a replica of the book sold during the group's tour in support of the album. 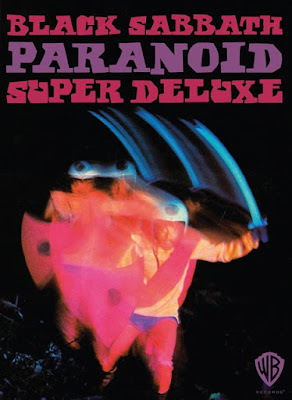 Black Sabbath’s second studio release, “Paranoid” delivered an entire album of classic tracks with songs like “War Pigs”, “Hand Of Doom” and the title track, which went on to become the band’s signature song. The project topped the UK charts and peaked at No. 12 on the US Billboard 200 on its way to sales of more than 4 million copies in the States alone. Black Sabbath are currently playing dates in South America as part of a farewell tour that will wrap up in early 2017 with a pair of shows in their hometown of Birmingham, UK.